Home » Blog » Healthy hair is back! We have reached peak hair processing and more of us are realising that a kinder, gentler relationship with our hair (amongst other things!) is healthier. Over-processed hair doesn’t look or feel good. We want hair that looks alive and which reflects a happy, healthy you and we want from our at home colour to give us beautiful, natural looking colours, as well as soft, strong, swishable condition. Sometimes, my friends, less really is more. Just because you can over-work your hair, does not mean you should. To embrace a healthier relationship with your hair look for PPD and ammonia free colour, and shampoo and hair products without sulfate, parabens and phthalates and alcohol, all of which can dry or weaken your hair. 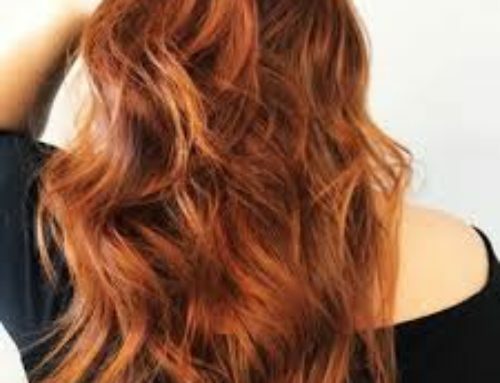 The health and condition of your hair are just as important as its colour. You may be colouring for a fresh, seasonal change, for a new complimentary look and/or to cover some greys that you aren’t quite ready to embrace just yet. Look for permanent PPD, paraben, phthalate and ammonia free colour to reduce the chemical stress on your hair and health and go for the trifecta – colour, condition and cut. 1. Spritz your hair with coconut oil once a week (or anytime!). Try a weekly coconut oil overnight mask. The ingredients are…coconut oil. That’s it. You can either buy it in a spray can or liquid form from the supermarket, in the cooking oil aisle. Liquid coconut oil is good value (a bottle could last you over a year) and is very convenient and easy to use. Coconut oil is filled with bioavailable fatty acids which are readily absorbed by the hair cuticle as well as vitamin E, vitamin K and iron. It is a lightweight oil and is easier to wash out with other oils. The fatty acids in coconut oil contain about 50% lauric acid, which is a natural anti-bacterial agent, which benefits the scalp where it can balance out the bacterial and fungal microflora on your head, reducing itchiness and improving the skin condition. Massage the oil through your hair and into your scalp and tie it back. For a great overnight coconut oil treatment, wear old, dark coloured front opening clothes and massage the oil through your hair from the ends to the lengths. You only need enough to lightly coat the hair and scalp. Put an old or dark coloured towel over your pillow before going to bed. While you sleep your hair will soak up the nutritious medium chain fatty acids in the coconut oil, and feed the hair from within. 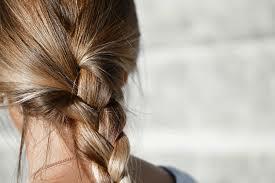 Fatty acids bind to the proteins in your hair, protecting each strand. Many other oils have short or more commonly long chain fatty acids which are not so easily absorbed by the hair. Coconut oil generally has a deeply nourishing, softening and restorative effect on fine or oily hair, but coarser or very dry hair might not respond so well. 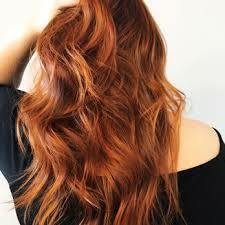 Thick, dry hair may respond better to olive or avocado oil, also available at the supermarket. If you have very thick, dry or coarse hair you may want to try a few different oil types before finding the oil that best suits your hair, but if you have fine or oily hair then coconut oil might just be the hair oil for you. Try using a little less shampoo when you shower, massage it through your hair and scalp and rinse thoroughly and then repeat, using a small amount of shampoo only each time. Double washing but with less shampoo will help remove any residual oil, and the mechanical action of the massage helps lift the oil from the hair, so give yourself a good head massage while you’re at it. That helps the circulation and condition of your scalp and feels great too! 2. A trim every 6 weeks will keep your ends fresh and settled. Professional home colouring will keep your colour fresh, beautiful and shiny, oil treatments will support the condition and health of your hair and scalp, but please don’t DIY the cut! You can be in and out of the salon in less than half an hour for a simple cut, and after the blow dry washes out, there’s not often too much of a difference between a $30 or $150 cut. 3. Coloured hair needs a little extra love. The colouring process opens and closes the hair cuticles to deposit colour, and coloured hair will need extra support and care to maintain a natural, healthy look. Look for PPD, parabens, phthalates and ammonia free colour to avoid unnecessary exposure to harsh chemicals which can have unwanted health effects. 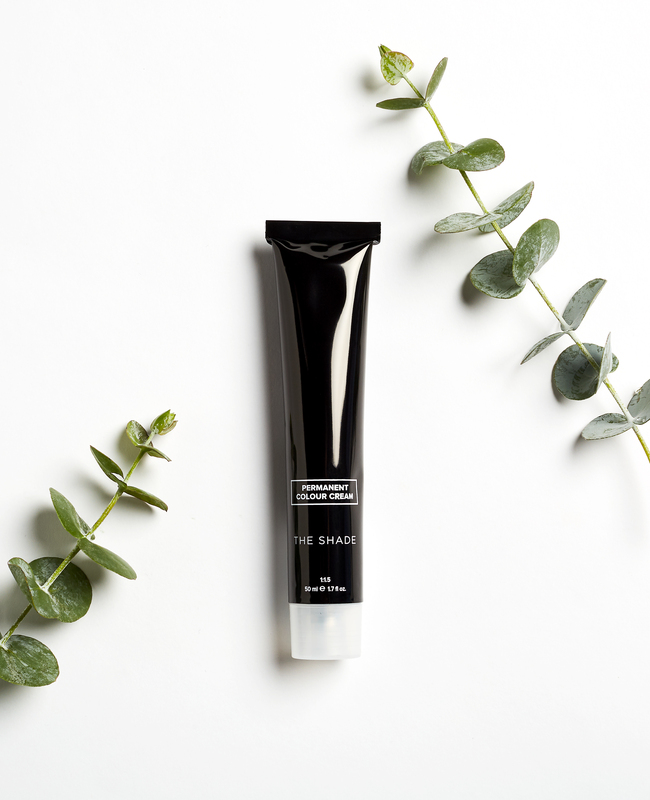 Ideally, your colour formula will also be blended with botanical ingredients which can also deliver restorative and reparative effects to your hair and scalp. At The Shade our mission is to respect your hair, health, time and money. We use our products ourselves and some of our team have sensitive scalps and have had unwanted reactions after using other popular off-the-shelf boxed colour products. Our colours have been designed to exclude some key chemicals which can aggravate the skin or which have been associated with unwanted health effects. We home deliver PPD, paraben, phthalate and ammonia free colour together with salon accessories so you can achieve true salon results at home. Our salon grade formula delivers beautiful, multi-dimensional colour at home while avoiding some harsh and outdated chemicals. Technology and our understanding of the impact of chemical ingredients has rapidly changed in recent years, and we have come a long way from the first ammonia-based at home colour products. There’s just no longer a need to include some undesirable ingredients, as there are gentler alternatives available today which can maintain or enhance product performance and stability and which are low-irritant. Colour with confidence for beautiful results which flatter your natural colourings with a home colour solution which is permanent, natural looking, gives 100% grey coverage and is blended without ammonia, PPD, parabens and phthalates and blended with botanical extracts such as Argan oil, Ginseng and Aloe Vera. Experience our ammonia free colour and home salon accessories for gorgeous, naturally healthy looking colour and condition with our Free Trial.